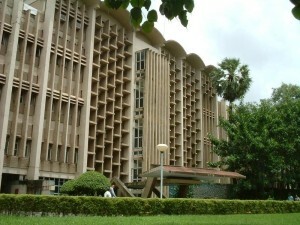 The IITs have always been a symbol of academic excellence. However, in a backdrop where the government has reduced funds for higher education to the tune of Rs 3,900 crore in its revised budget estimates for the financial year 2014-15, students of IIT-Bombay claimed at a recent open house that lack of adequate funding and high fees were some of the prime issues faced by them in postgraduation programmes. It may be mentioned that the government has revised the figure to Rs 13,000 crore, as against Rs 16,900 crore for in the budget plan allocation and the revision will hit the eight new IITs that were scheduled to move to their permanent campuses this academic year. Also, the government has reduced the Rs 2,500 crore originally allocated to the 16 IITs for the year 2014-15, to Rs 2,337 crore, initiating a cut of Rs 163 crore. “The reduction of 163 crore will affect the new IITs as the HRD ministry will not be able to disburse the funds for the final phase of construction of their new campuses,” a media report stated. In the open house conducted with the Director, Professor Devang Khakhar, students of IIT- B complained of lack of funds and disparity in funding among departments and courses. While some complained that the international travel grant of Rs 1 lakh is inadequate considering the high airfares and accommodation abroad. There was one more complaint coming from a student that the fees per semester (Rs 34,000) are the highest among the other IITs in the country. The director explained that many agencies and faculty are ready to provide the required financial support. Khakhar also said the IIT-B will construct a new building for Energy Science and Environmental Science and Engineering. There will also be two new hostels for 2,000 students, a new guest house and a building with 150 apartments for married and post-doc students.